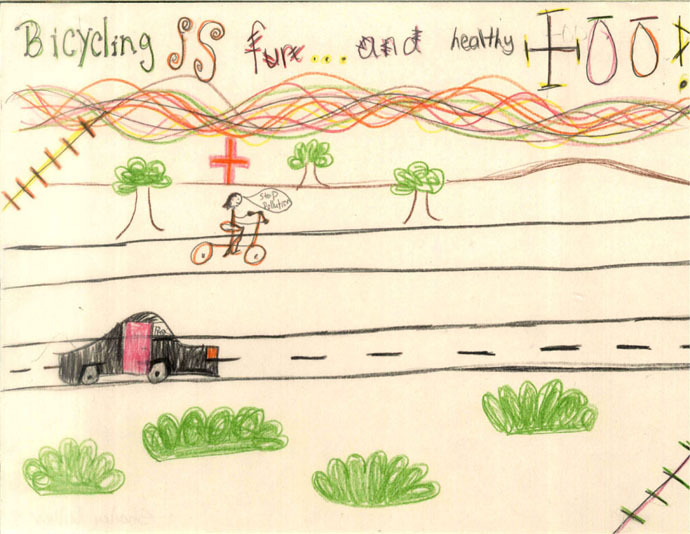 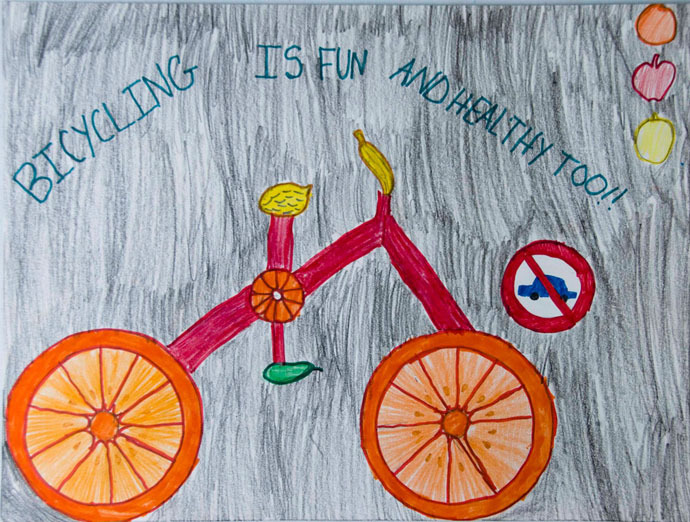 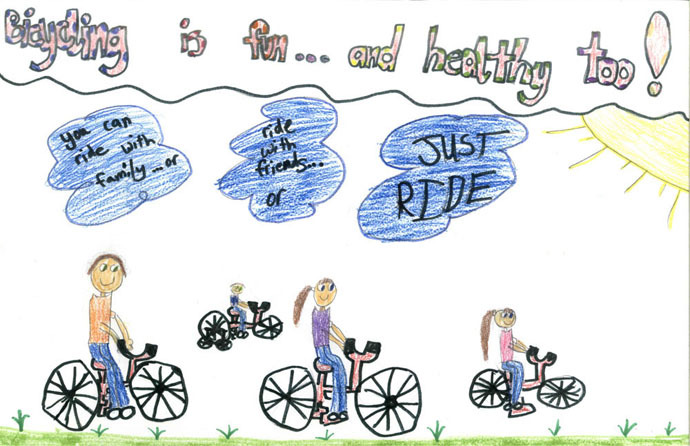 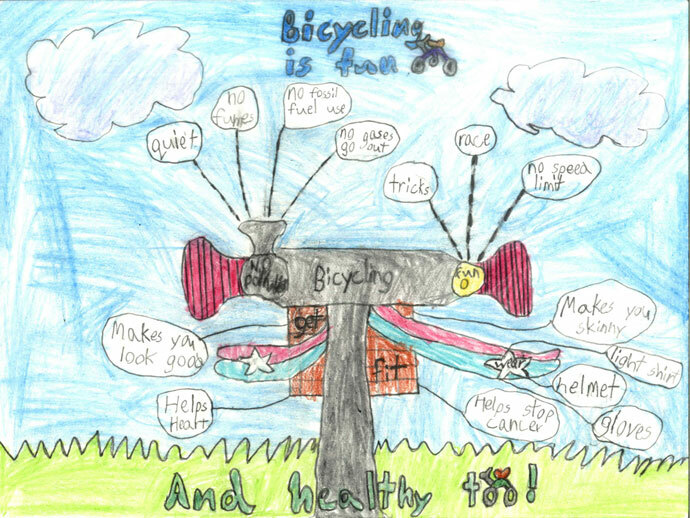 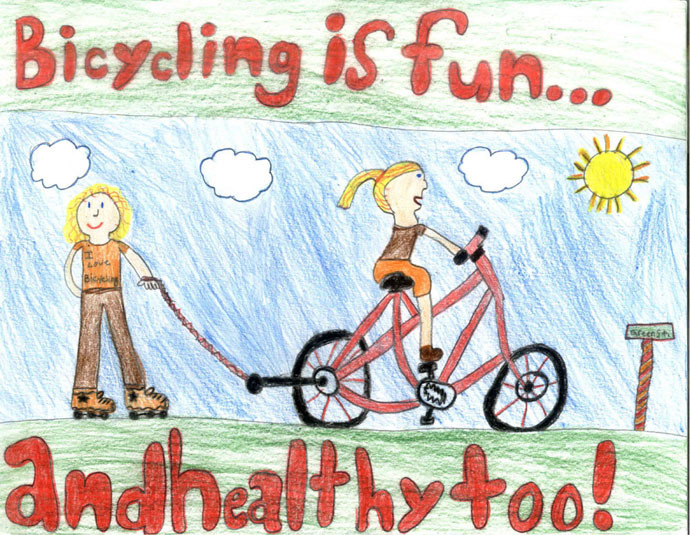 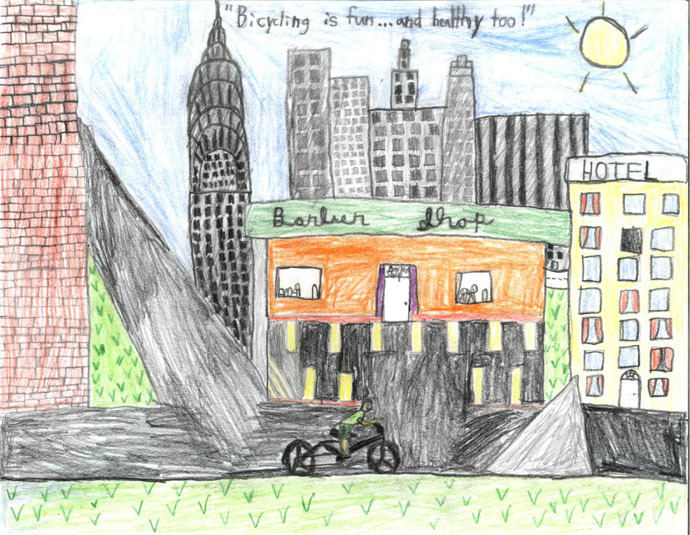 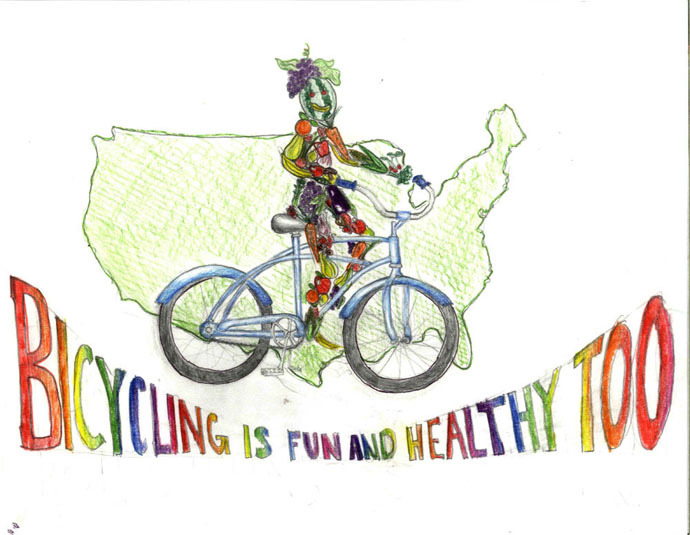 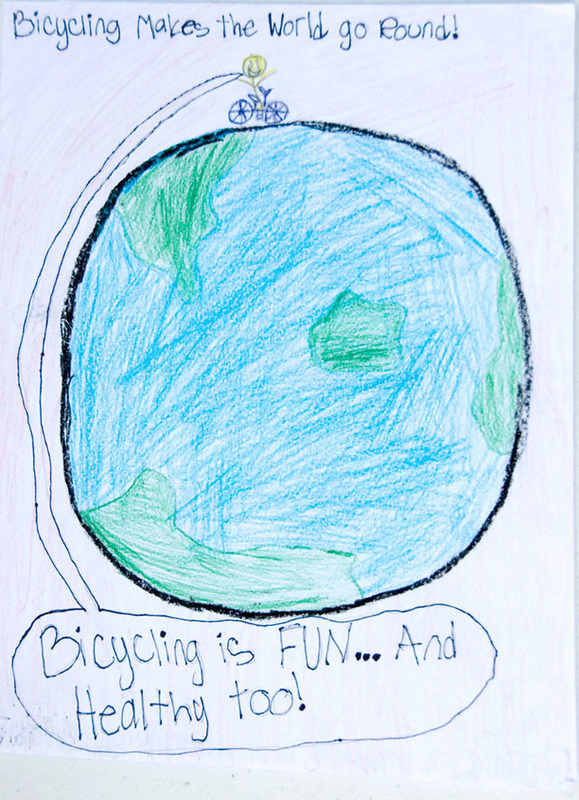 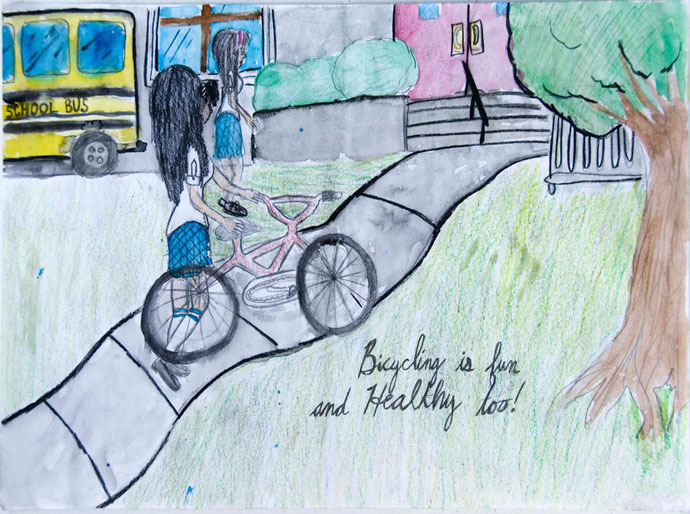 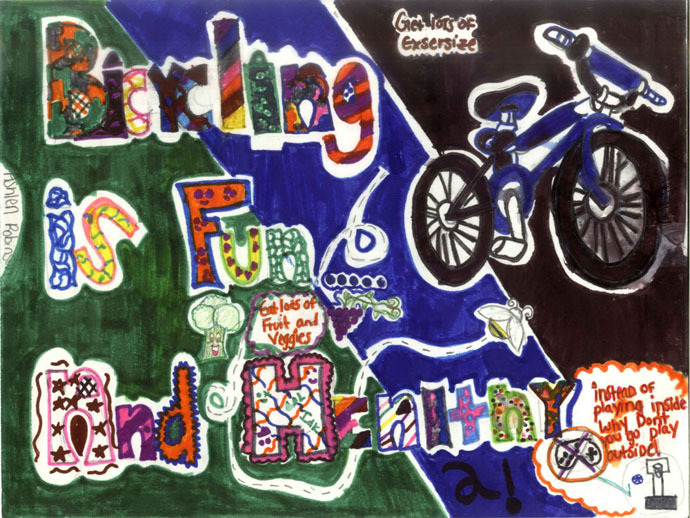 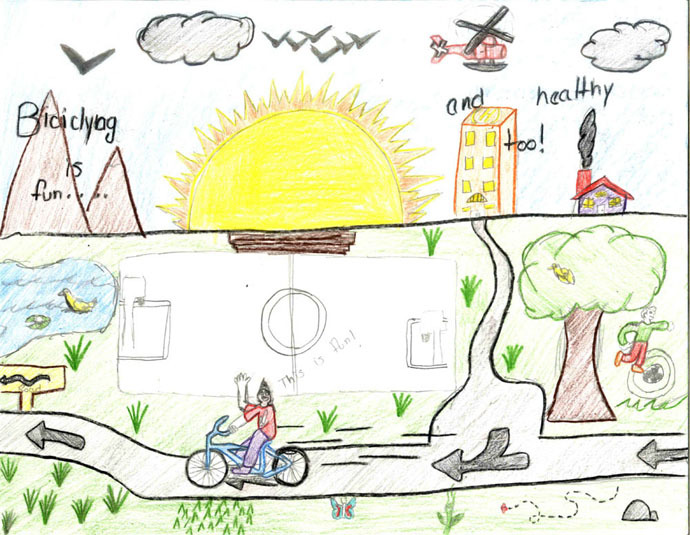 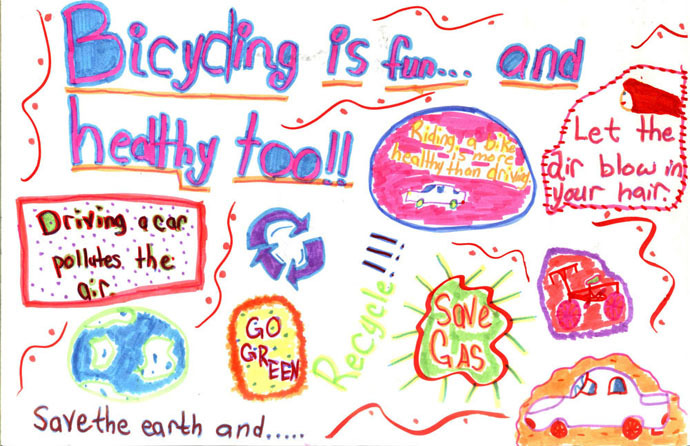 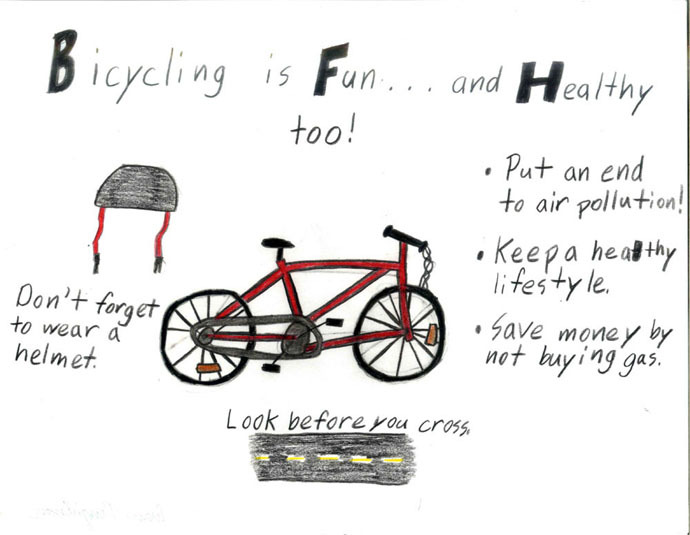 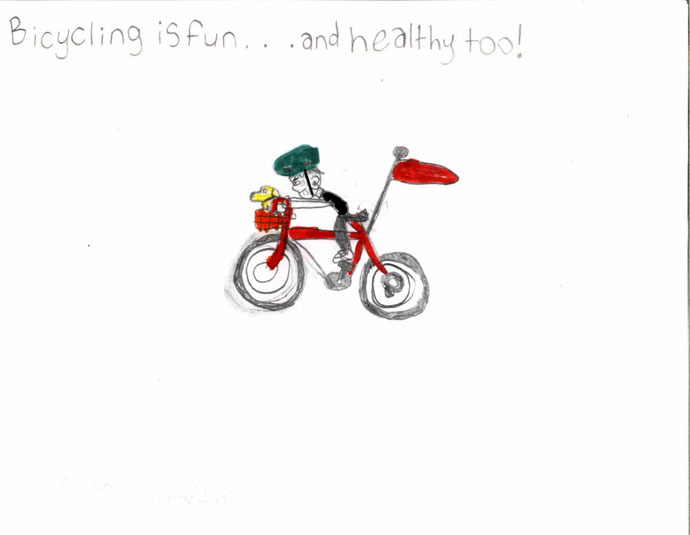 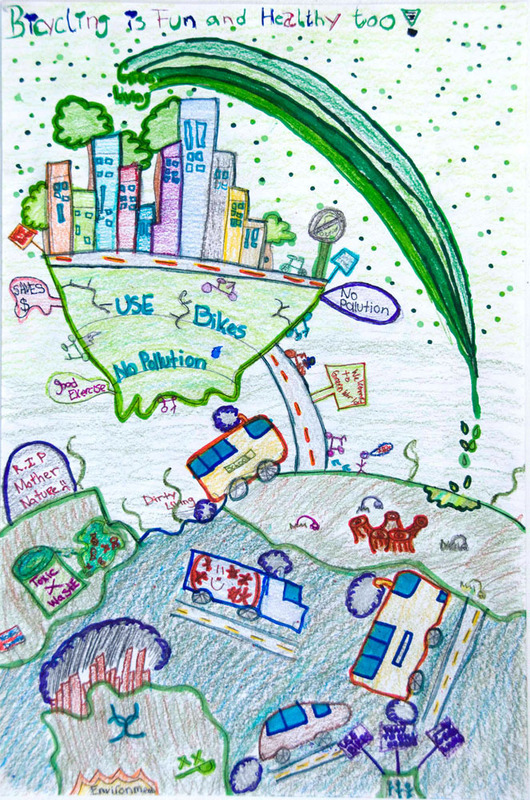 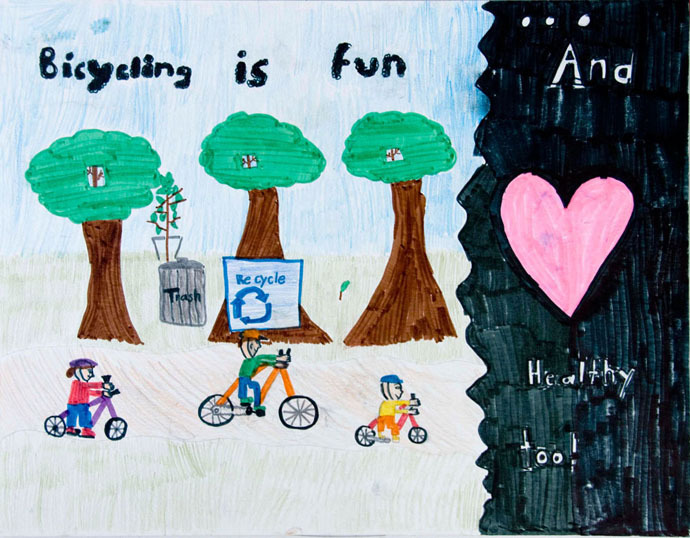 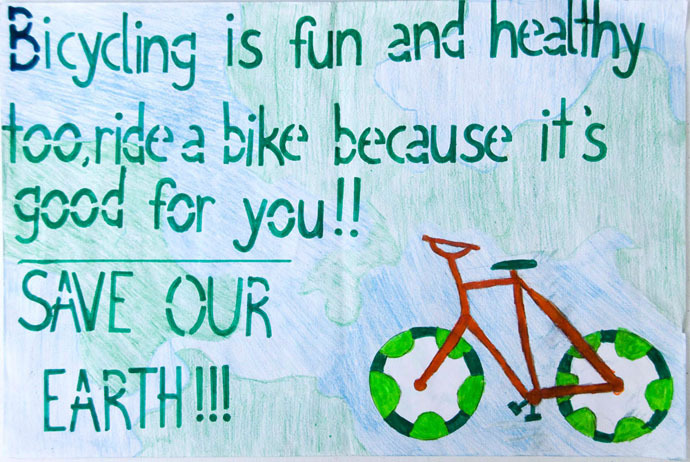 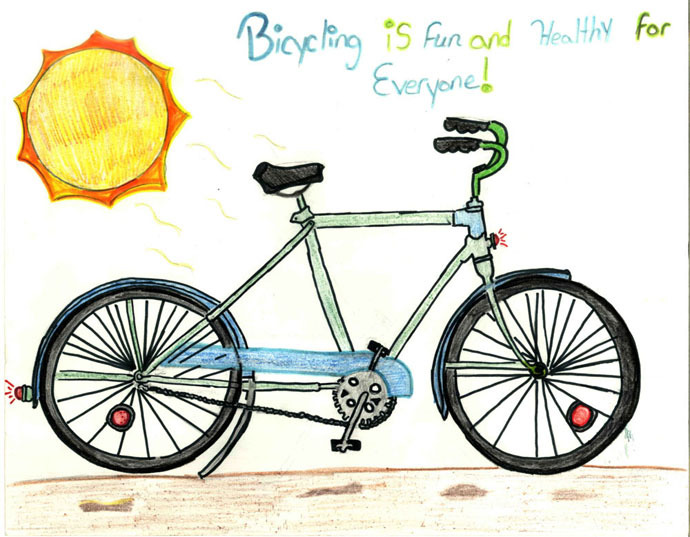 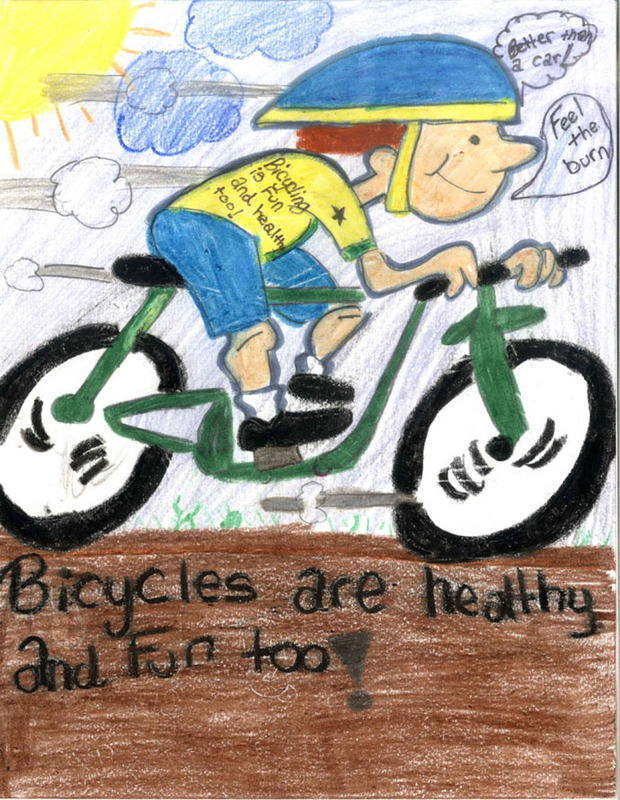 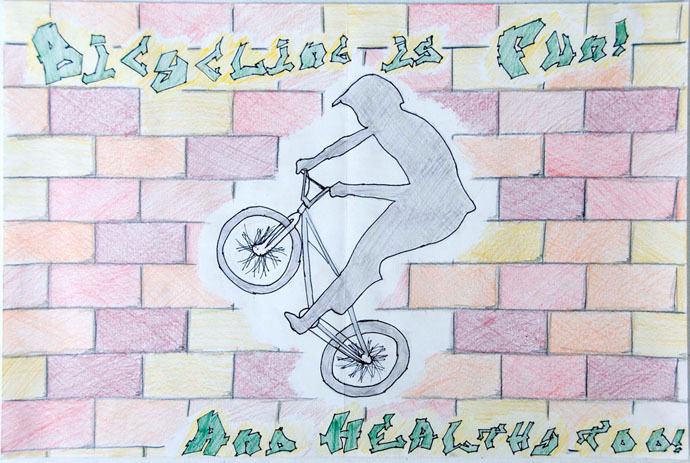 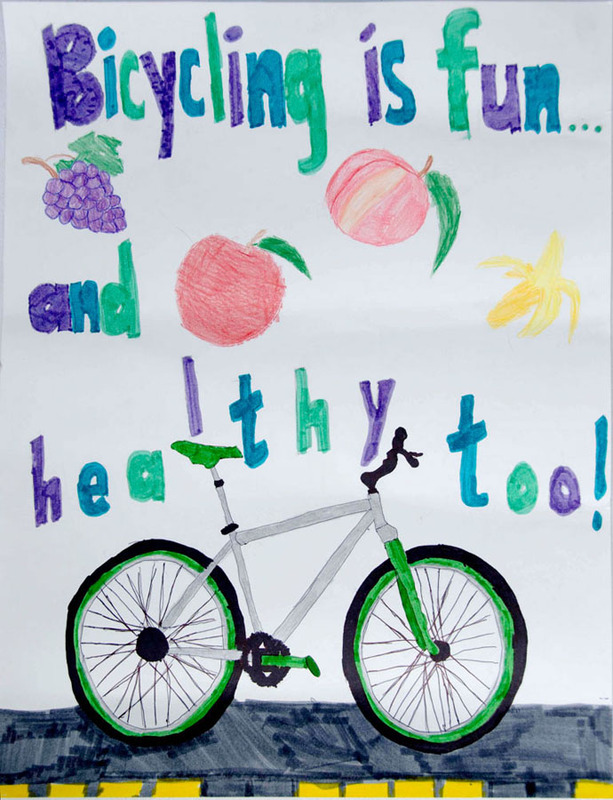 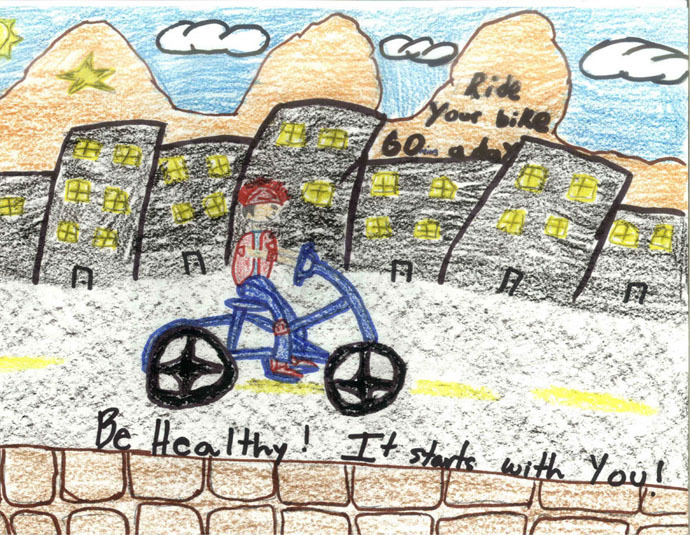 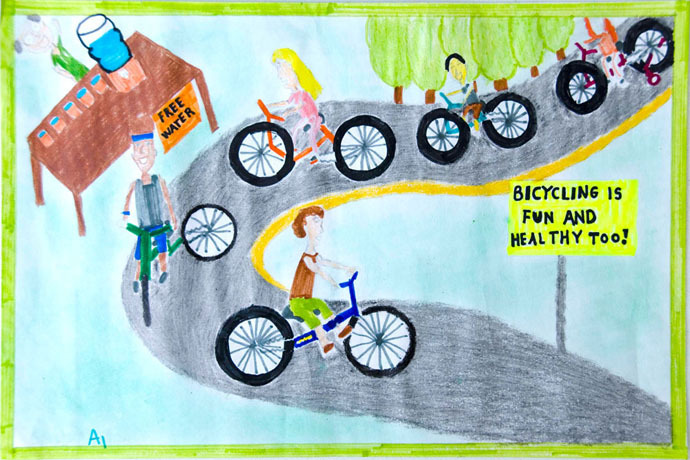 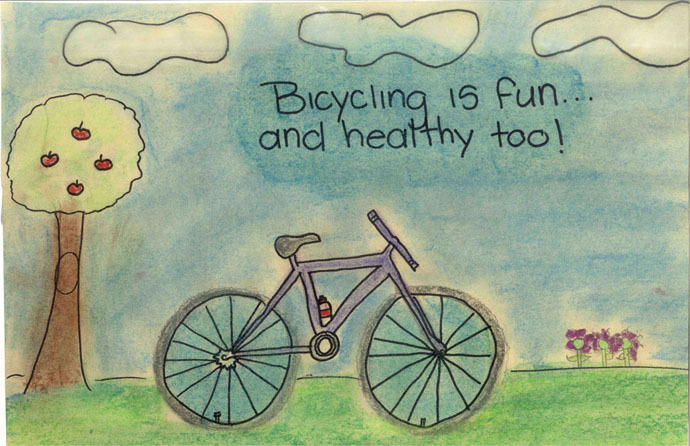 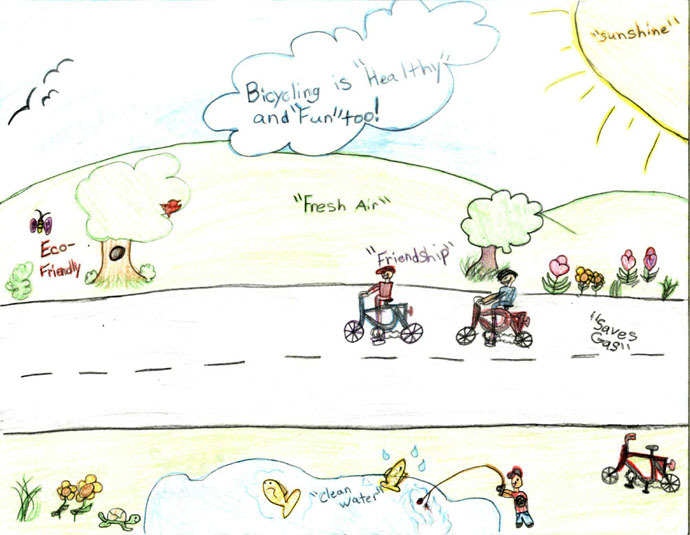 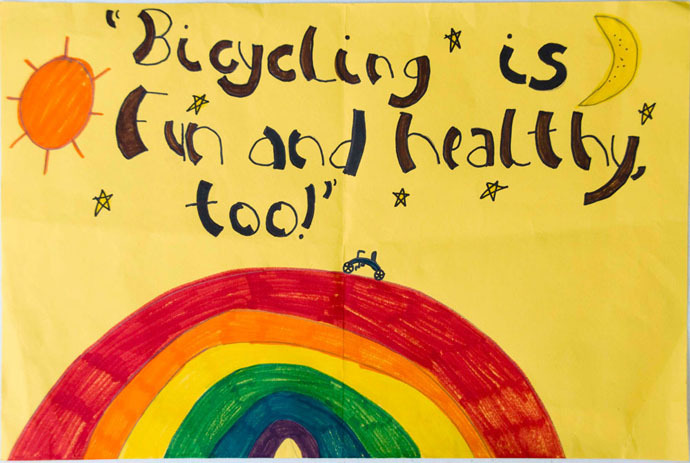 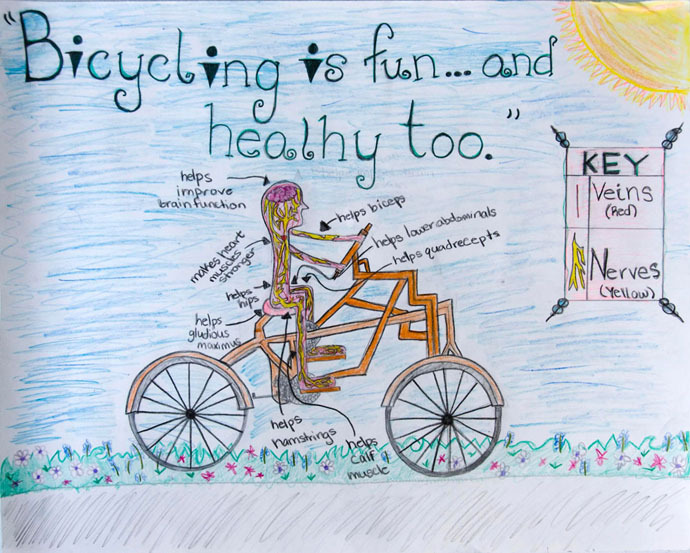 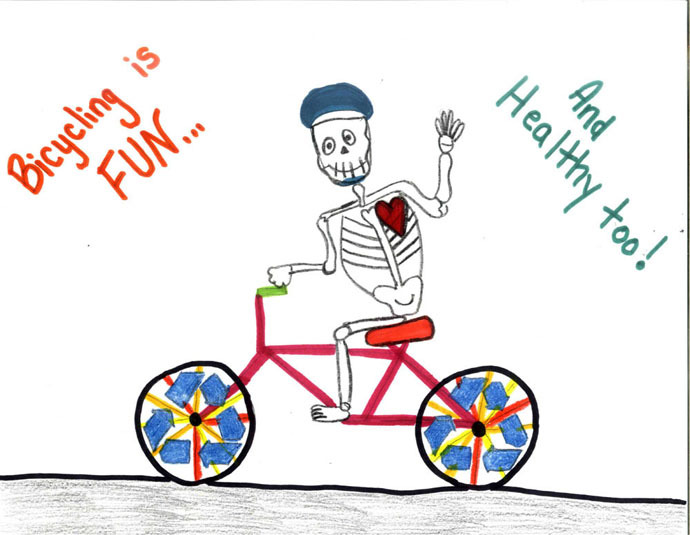 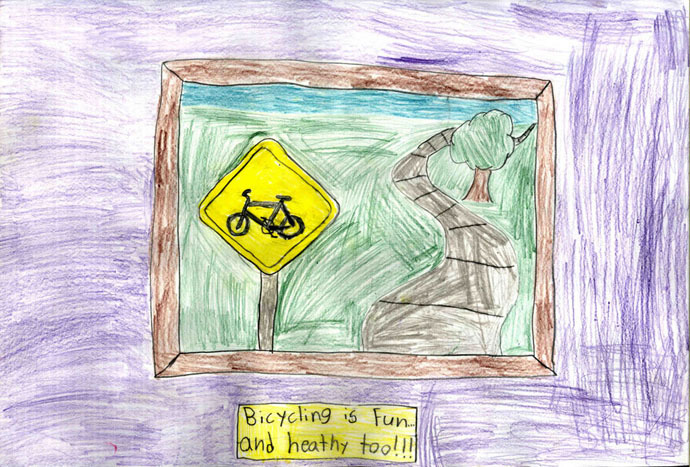 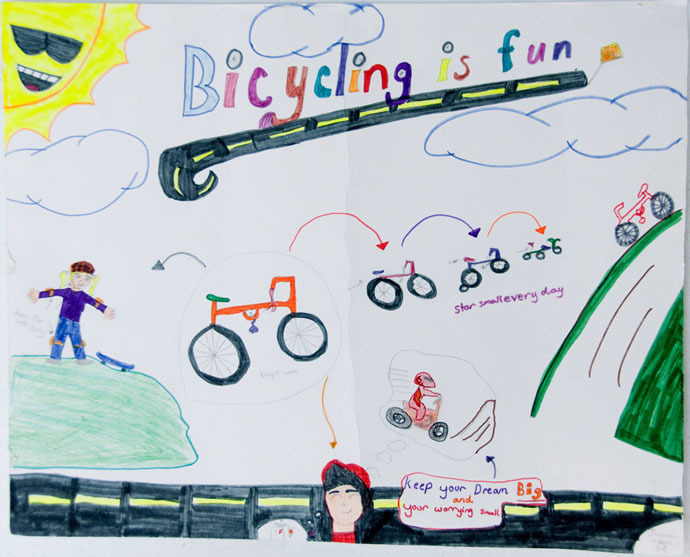 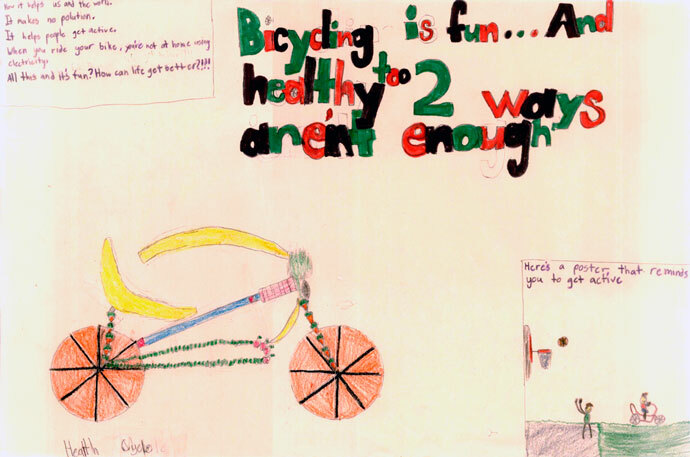 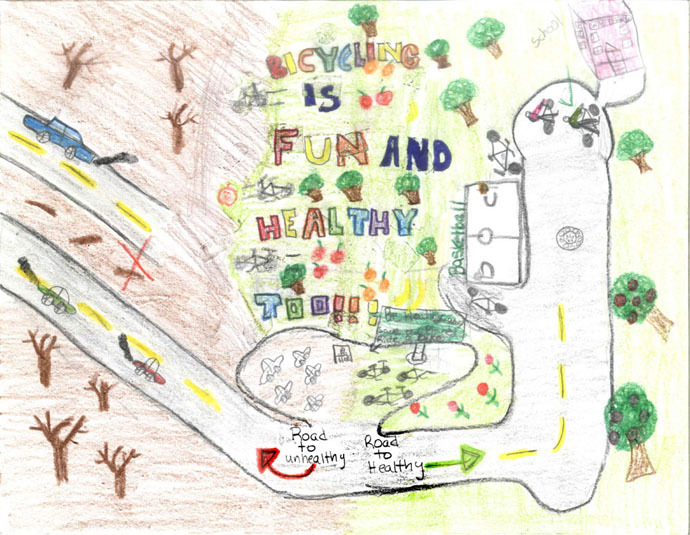 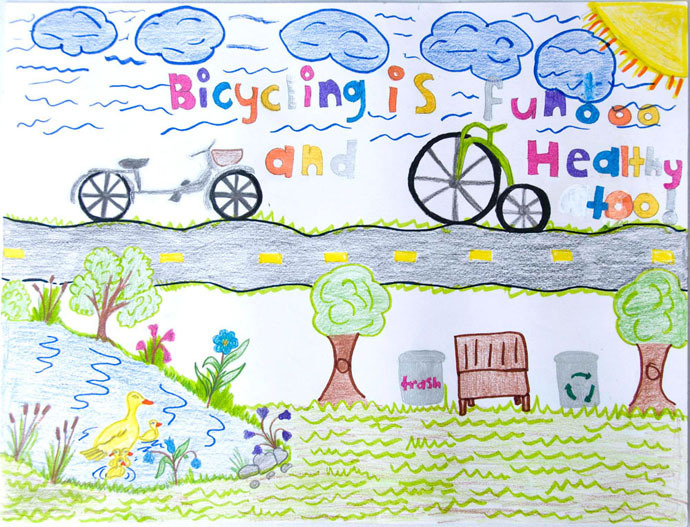 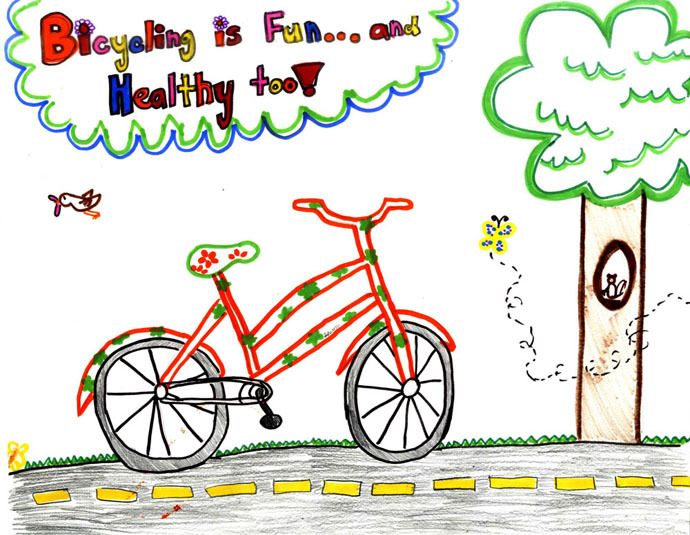 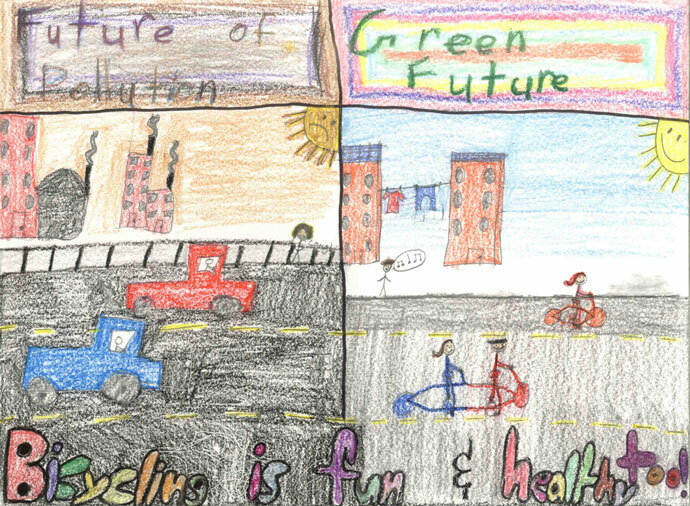 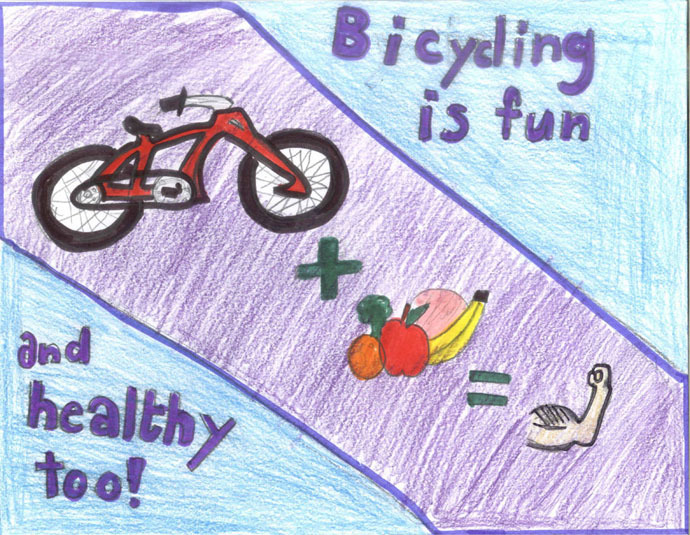 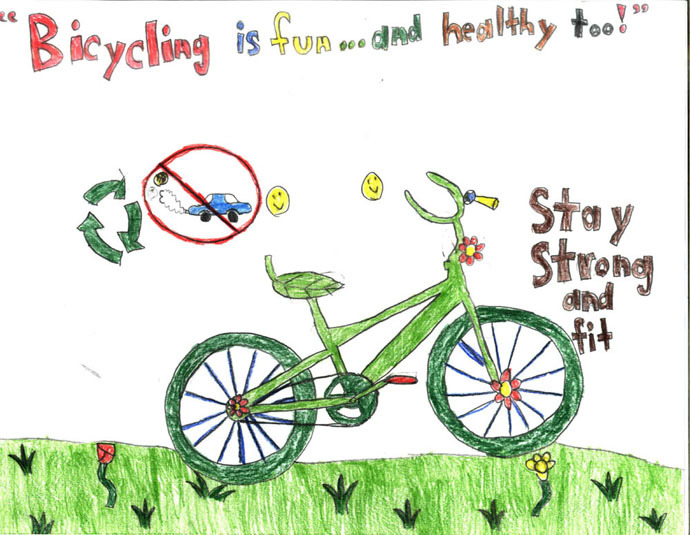 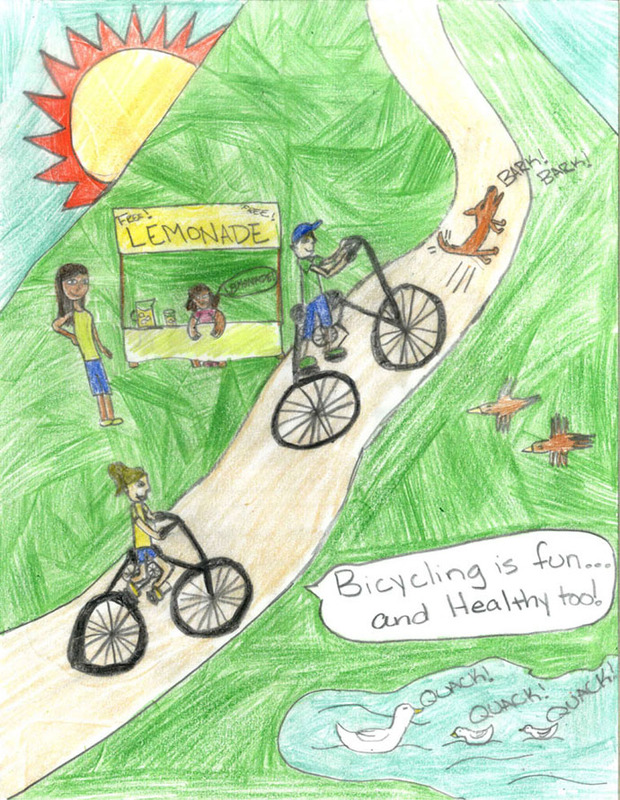 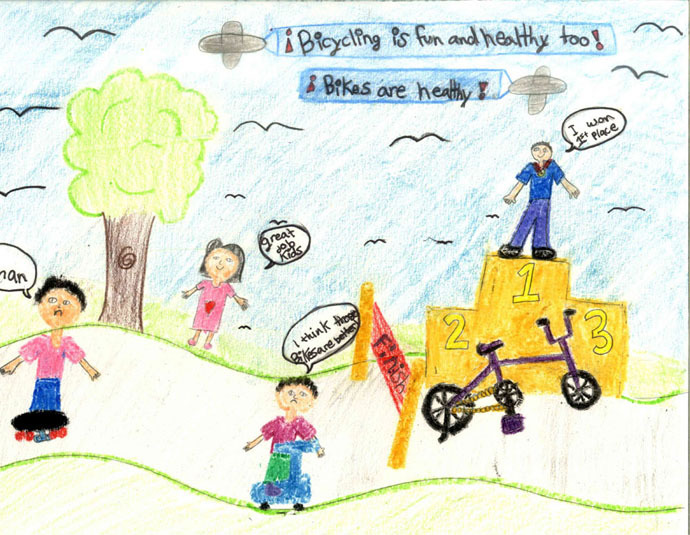 BARTON HILLS ELEMENTARY, AUSTIN | This poster has gone on to compete at the national level for a trip to the 2012 National Bike Summit in Washington, D.C.! 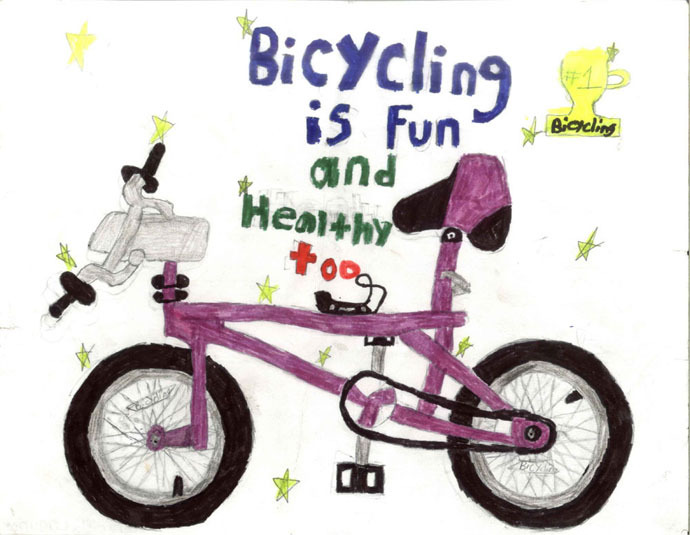 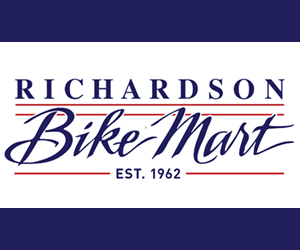 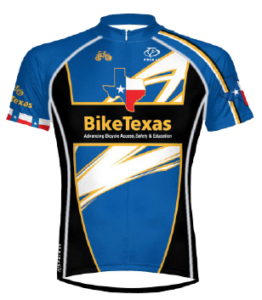 In addition, the child received a Schwinn Ranger bike, a Planet Bike Spok Light, a Lazer Helmet, and their school received a Saris Bicycle Parking Rack. 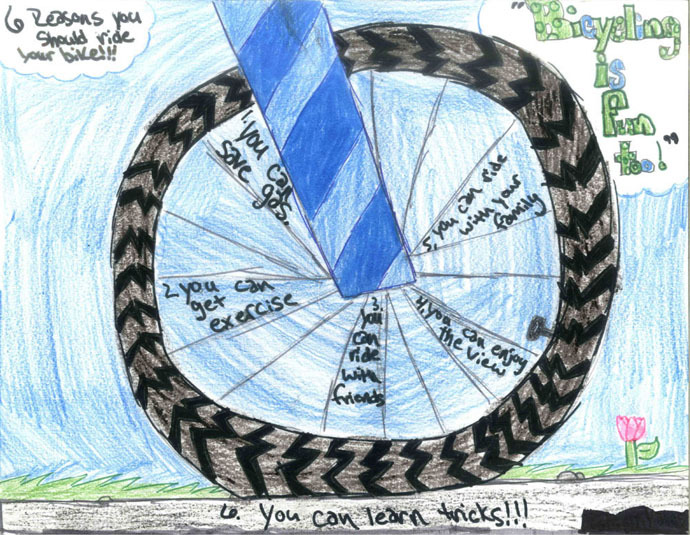 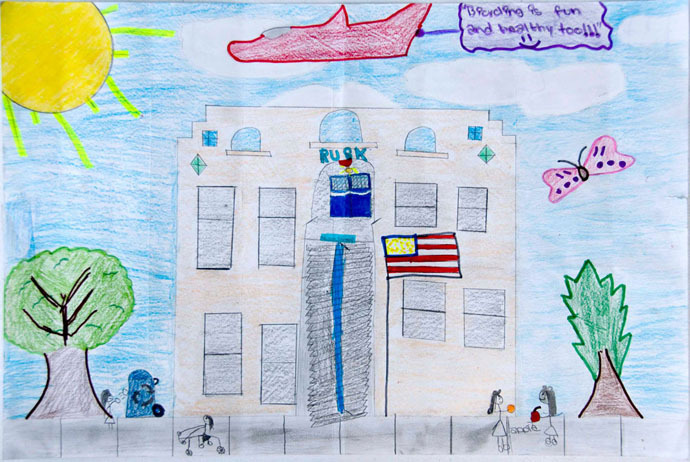 These students’ posters all were selected as the best in their school.